I love animals. I grew up with a ragbag collection that so exasperated my dad he once tried to rehome them all. My sister and I just went and got them all back and, to the delight of my mum, added some more waifs and strays along the way. As a freelance photographer, traveling the world, I couldn’t really have pets and the animals that made my house a home were reduced to some cold water fish in a tank. Such is life on the road. 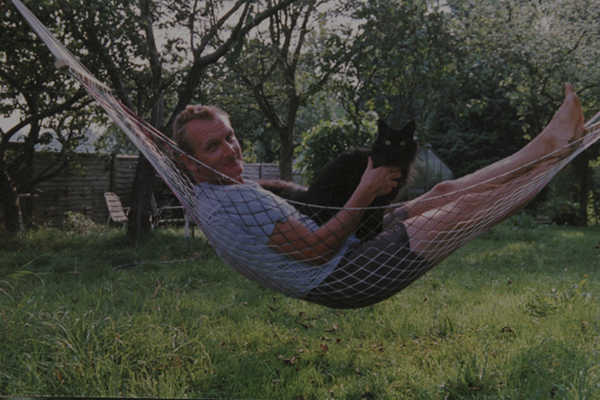 When my mum died I inherited her 10 year old beautiful, black cat Morris. He’d been a badly treated, rescue cat who tunneled a secret hideaway amongst the pile of clothes in her room and bit you whenever you tried to stroke him. Over time he grew more friendly and became a real character in our family. In the 10 years that I managed to take care of him he somehow survived a shooting by a 2.2 rifle and a savage dog attack. He was one helluva cat. Last week as a 20 year old veteran he used up the last of his 9 lives and was in my arms as we said our final farewells. It seems silly to be so sentimental over a cat but Morris was one of a kind and a feline friend that I shall miss forever. I used to dare myself to tickle his tum. But I only managed to do it a few times without getting THAT glare. Sometimes the warning came with a glare accompanied by a hiss, sometimes it came with a glare and a yowl, and worst of all sometimes it didn’t come at all. He was definitely your cat, John. I believe you have the scars to prove it. He’s the only cat I’ve ever known who lived by a languid English river, like some sort of top predator velocicat parachuted into The Wind In The Willows, then lived in the depths of wild Dorset, scaring the living daylights out of the local deer population, and then emigrated to the Canaries to enjoy an autumn of lazy years in the heat, spending increasing numbers of hours each day dreaming leisurely of past mischief and mayhem. Salut Morris, mon vieux, they broke the mould for you old son. They sure did – Morris truly was one of a kind and a legend in his own lifetime!!! !